Posted on November 15, 2013	by Derek "Gamer Crash"
As it has been written since the beginning of time, any time a large industry event is kicking off, Geoff Keighley and the GamesTrailers crew are on hand to bring us all the details. 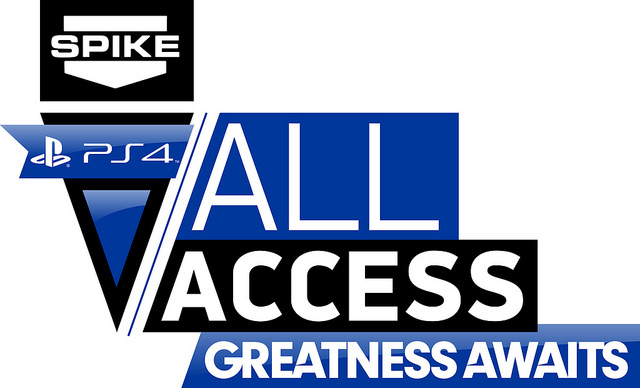 Last night was no different at the PS4 All Access Launch Event in New York as leading up to the next generation console’s launch the audience was treated to reveals, news, and anything else PlayStation related. I’ll have all the videos tomorrow up in the Video Round Up so make sure you tune in. In case you were freezing in line at a midnight launch somewhere or were catching up on your sleep, why not let me catch you up on all the big announcements and news from last night. Keep in mind that everything below pertains to Sony. Sorry Xboxers, your time is next week so catch me then. The Last of Us “Left Behind” DLC – Probably the most anticipated DLC of the bunch as “left Behind” represents the single player story DLC which is set to expand the game’s story. Due sometime in early 2014, this content focuses on Ellie’s life prior to meeting Joel while she was exploring with her friend Riley. Not much more was given just yet. Uncharted – The biggest news of the show and probably one that we all saw coming, there is indeed a new Uncharted game coming to the PS4. We were only given a teaser trailer with not too much information so I can’t yet confirm if everyone’s favorite treasure hunter, Nathan Drake, is making the next gen jump. I guess I wouldn’t be surprised if Naughty Dog decided to reboot the franchise with the PS4, but I also can’t help but think that would set off a small riot with fans. What I can say is that the narrator in the teaser trailer is clearly agitated about “being left behind” and that someone “owes him.” Could that someone be Nate Drake? INFAMOUS Second Son – Sucker Punch finally graced us with a release date for this highly anticipated title. You’ll finally be able to get your hands on this on March 21, 2014. Not too long of a wait! TowerFall Ascension – The excellent and once Ouya exclusive is making it’s way over to the PlayStation 4 early in 2014. So what’s new? Well, with Ascension you’re getting 50 new versus levels, 4 additional playable characters, a new 6 player quest mode, and many updates and refinements to the core game. Sounds like there’s plenty to get excited over about TowerFall again. Destiny – Bungie was indeed in the house to show off a new trailer for their highly anticipated sci-fi shooter. They also came prepared with an announcement that the Destiny beta will be kicking off first on PlayStation 3 and 4. Metal Gear Solid V: Ground Zeroes – Lastly, the man himself, Hideo Kojima, came on the big screen to reveal a special mission for the upcoming stealth game. If you’re a fan of PlayStation 1 Snake, you know the textureless blocky character sprite, you’ll be able to play through Ground Zeroes as him in what he’s calling the Deja Vu Mission. I have to admit that there’s quite a contrast seeing this highly detailed world and then watching this blocky protagonist running around it. It’s quite funny actually. This entry was posted in News and tagged games, news, PS3, PS4. Bookmark the permalink.